Dr. Ali Dia’s clinical team embodies his vision for a comprehensive clinic. 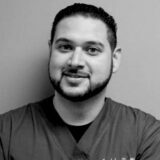 His team includes medical doctors, acupuncturists, physical therapists and massage therapists all providing cutting edge treatments along with his chiropractic care. You will receive the care you need now after an auto or work related accident by a quality healthcare team using this collaborative approach to treatment.